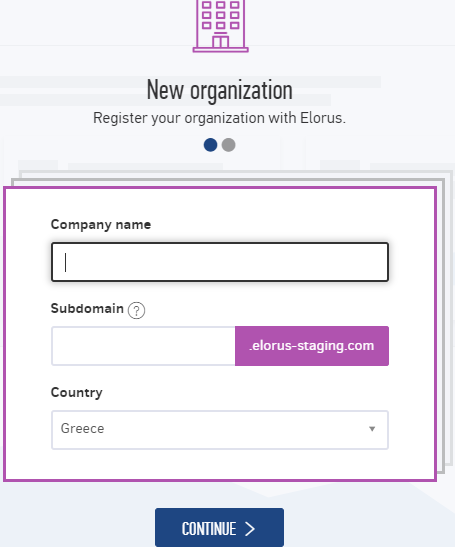 A personal account (user) can manage multiple organizations/companies at Elorus. That is, you can log in to the application with a single email/password pair and access the financial data of multiple companies. IMPORTANT: Every organization you create will have its own subscription plan, but they can be different from one another. Example: You can keep 2 organizations in Εlorus, one on the free plan and the other in Business. Inside the application, at the top of the page, there is a popup menu on the left with the organizations you have access to, as shown in the picture below. By clicking on the organization's icon, you are transferred to its unique Elorus address and immediately start working on the organization's data. Through the same menu you can also register a new organization at Elorus. 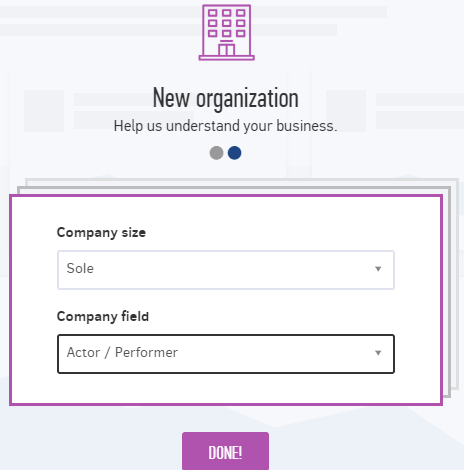 By clicking on the "Register a new organization" button at the bottom of the popup menu, you will be transferred to a new page displaying the form below. After you submit your new company's name, unique subdomain and country, you click Continue. Then, you are required to select your company's size and company field. Clicking Done the new organization is created and is automatically assigned to our free plan. If you wish to upgrade to a paid plan, you can do so at any time from the Settings -> Billing menu. To submit the rest of your company information (Tax ID, address etc. 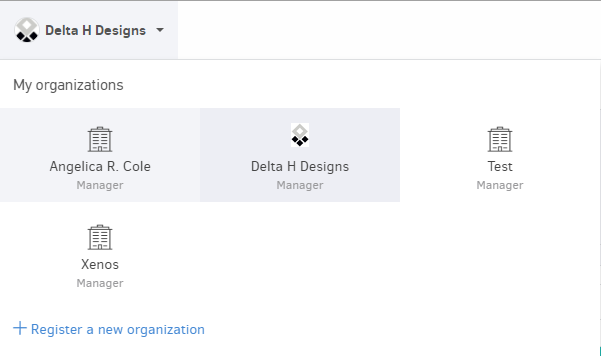 ), you can visit the Settings -> Organization page. Note that you can keep the new organization to the free plan forever - as with any organization - as there is no limit to how many organizations you can manage, nor how many of them can be on the free plan.